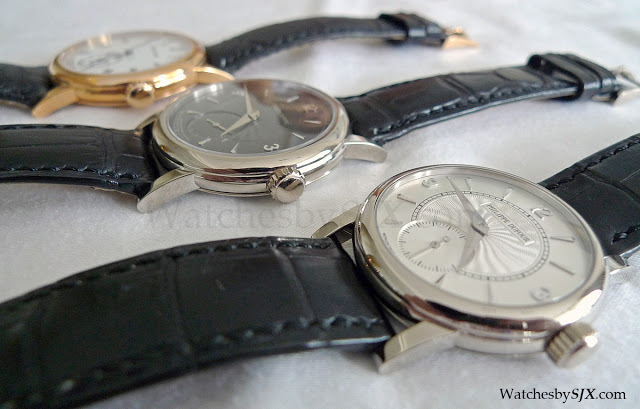 The Philippe Dufour Simplicity is a watch of myth for many. It is reputed to be the best finished modern wristwatch in the world. 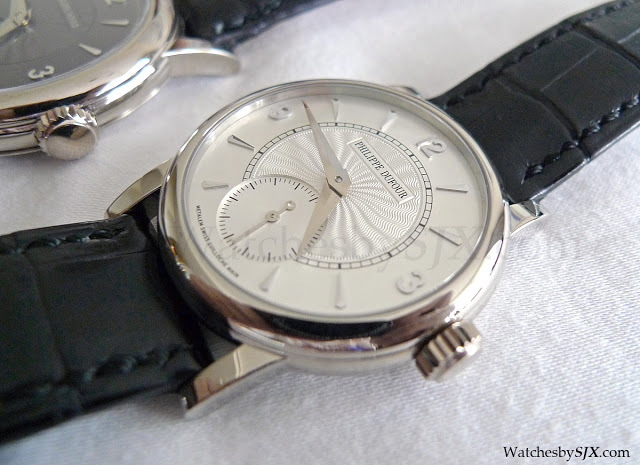 The Simplicity has competitors, like the Voutilainen Vingt-8, but it is still legendary. Mr Dufour is so good at that Seiko approached him for guidance in finishing their superlative Credor Spring Drive Eichi. 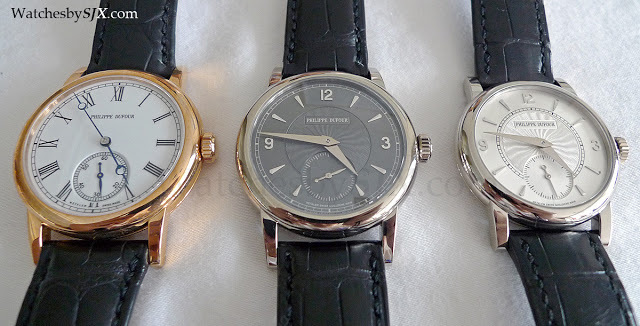 I will publish more detailed photos soon but in the mean time here are some photos of a trio of Simplicities. 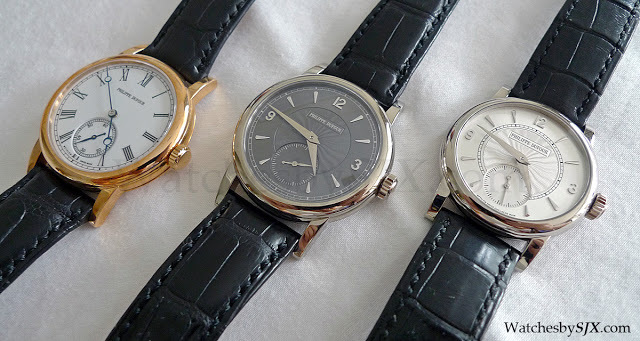 From left to right: 37 mm rose gold with lacquer dial, 37 mm white gold with grey guilloche dial and 34 mm white gold with silver guilloche dial. Between the lacquer and guilloche I very much prefer the latter. Despite its dimunitive size the 34 mm sits well on the wrist. This size was the original conceived by Mr Dufour until clients requested a larger case. It has tremendously old-fashioned charm. Even the view from the back is more elegant; the movement fills far more of the case. Mr Dufour himself wears a 34 mm Simplicity too. And for those wondering, the owner of the rose gold watch likes to set his watches a bit fast.